I believe these are a type of restrike you can do yourself when you visit the Hall - Tyrol mint in Austria. I believe you'll find these in other metals such as copper. 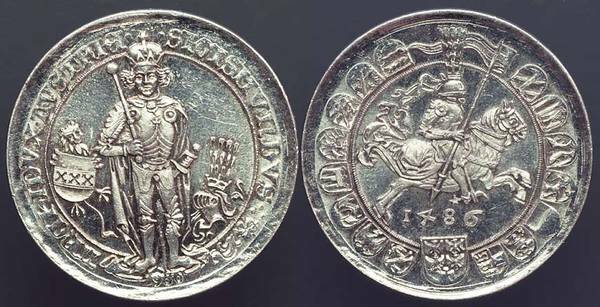 There's a video at their web site that shows people using the screw press to reproduce, on a much smaller planchet, their famous 1st Thaler of 1496. These are the namesake of all DOLLAR [and other similarly named] coins up to the present time. See my 1953 and 1986 official restrikes here.